CCT Technology’s IT experts were greatly inspired by Amazon and its Web Services. – they focus on AI and innovation more than anyone else. 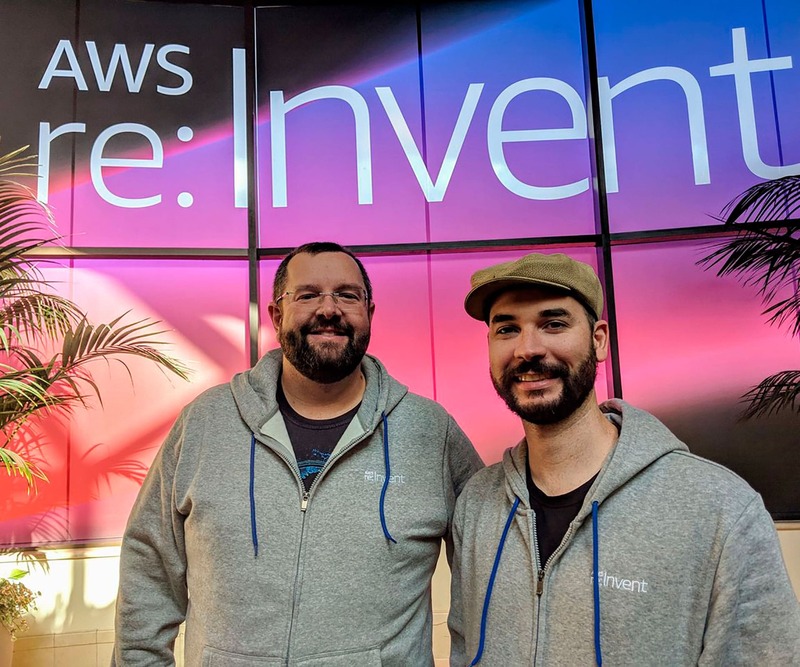 Chief Technology Officer, Ronny Kvalvågnes and Head of Development, Vinicius Kienen recently participated in one of the world’s major IT conferences, AWS re:Invent in Las Vegas. – It’s easy to be inspired when we can see, via a conference with 50,000 participants, that CCT is far ahead of the competition in its technological development. Amazon and Amazon Web Services are some of my tech idols, because they’re always searching for new possibilities while other companies cling to outdated business models, says Kvalvågnes. Kvalvågnes continues, those of us working on tech development at CCT have a single mandate from management: we must lead the way in development. This means that we have to continuously replace existing models with innovative and efficient technology the moment it becomes feasible. Unlike other companies, we don’t have transition processes because we constantly change while on the move, he says. The reason that Kvalvågnes and colleague Kienen are so inspired by Amazon is not just because the company disrupted an outmoded book-selling and technology sector. Kvalvågned points out that Amazon never quit innovating. They’re constantly searching for new solutions rather than attempting to hold onto existing ones, and we’re the real estate market’s answer to Amazon. That’s also the reason that ever more real estate chains in various countries want to use our tech to sell properties faster and at higher prices. AI is crucial for identifying the right people in the right channels. Kvalvågnes believes much of the drive of the Dublin-based development team stems from the conviction that everything that is new and better can be replaced by something that is even newer and better. Kienen comments that when it comes to technological development, there are no days off if you want to create the solutions of the future.